After issuing a stern warning to the Pakistan army to restrain terrorists operating from its soil, Indian Army has decided to lodge its strong protest in Tuesday's Director General Military Operation (DGMO)-level talk. Key officials from both the armies will talk at 11am on Tuesday in the existing mechanism of hotline communication. Indian Army will raise the issue of killing of its three soldiers in a border action team (BAT) attack carried out by the Pakistan Army soldiers, and trained militants, at the Line of Control (LoC) on Sunday morning. "During the hotline talk between the DGMOs, Indian Army will strongly condemn the barbaric act of Pakistan army," said an official based in South Block, which houses the ministry of defence. Every Tuesday, top military commanders from both sides talk to each other. On Sunday afternoon, five to six Pakistani intruders crossed the LoC and fired at an Indian Army patrol in the Sunderbani sector. After a fierce gunfight, two heavily armed Pakistani intruders and three Indian soldiers were killed. Indian Army claimed to have been exercising "utmost restraint" to uphold the ceasefire pact along the LoC, after the last talks between the DGMOs of the two countries on May 29. The Pakistan army, however, has been regularly carrying out provocative actions from across the border. However, in response, Northern Army Commander Lt Gen Ranbir Singh claimed the Indian Army is fully prepared. "When required, any challenging task can be undertaken. It doesn't matter what statements are being made from what quarter," Singh said. 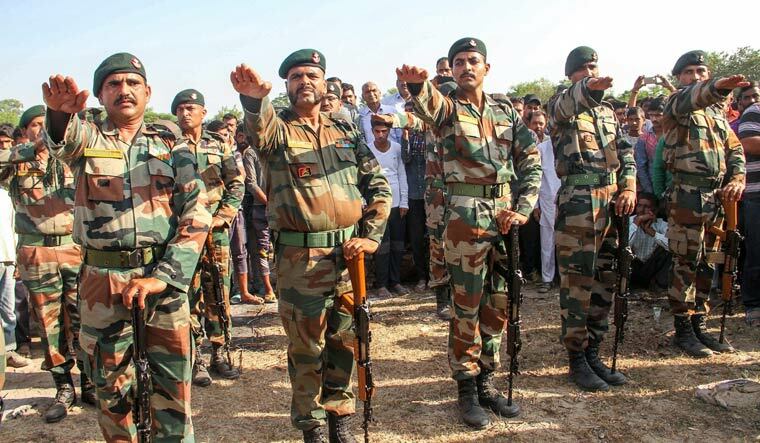 Indian Army, last month, celebrated the second anniversary of its surgical strike on terror launch pads in Pakistan-occupied Kashmir (PoK). However, the Army maintained that according to intelligence inputs, there is no change in terrorist infrastructure across the LoC in PoK, hence several attempts of infiltration by Pakistan-trained terrorists. Meanwhile, Army sources said that the death of seven civilians in Kulgam on Sunday happened after they rushed to the encounter site against the standing operating procedure (SOP) of local Army units. Army maintained that "there is a need to curb this rush and let the Army complete its sanitisation process".